Episode 57 – Where Are They Now? 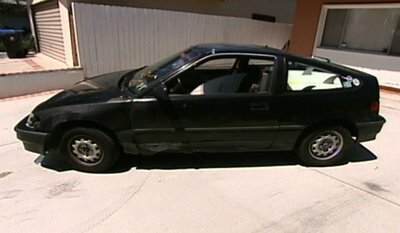 And sadly, Christine’s grandmother died of cancer 3 days after the episode about her Honda Civic (season 1) aired. In addition, she now keeps the car on blocks and only has her boyfriend put the wheels on on the weekends. 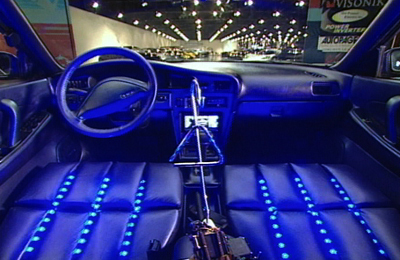 Tenita: When Xzibit and the crew were about to unveil my car, I was excited and scared all at the same time. 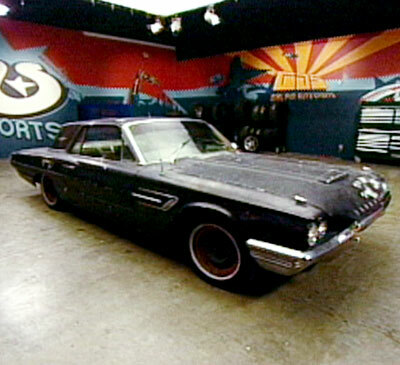 I think I have seen almost every episode of Pimp My Ride and the show has been known for always setting trends and most of the time going a little over board with the cars… for example, with some of the cars’ themes. 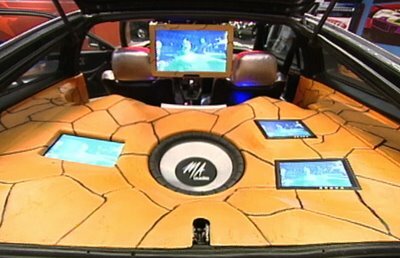 So I was excited to see what my new “pimped” car was going to look like but I was also scared because I didn’t want a fish tank, waterfall, etc in my car. But when I seen my new car for the first time I fell in love with it. My favorite part of my car is the paint job, it is HOT!!!!!!! 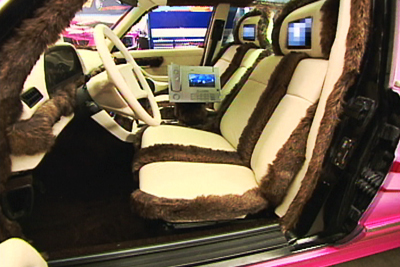 The outside of the car is the first thing that you see. The white paint on my car has green sparkles in it. It looks really good. I love it. And when the sun is out my car just shines. My whole car matches from the white and green paint job, to the green interior, and also my green trunk. This one aspect ties into me because when I get dressed I am very coordinated. The racing engine is the icing on the cake. It was funny because when we were on set and Mad Mike was telling me about the horsepower and etc, I didn’t know what all that terminology meant. I just figured it was fast and I was right. It is very powerful. Tenita: Everyone loves my car. 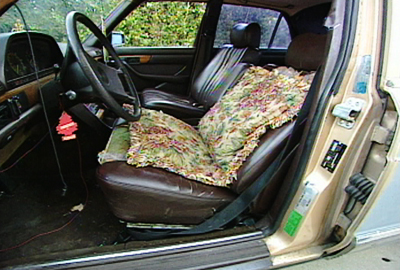 The car was a gift from my dad so when he finally saw the car and gave me his opinion I was satisfied. His first question was did they do the engine, and I wouldn’t tell him anything about the car because I wanted him to be surprised on the set for his reveal. When I drove the car up to him and he heard the engine, his face was priceless. 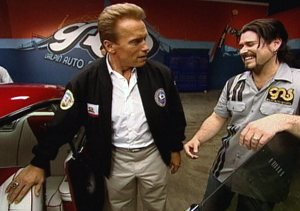 It was one of my best memories with him because he lit up like a kid in a candy store. Everyone wants to drive my car or have me drive them around. That’s not going to happen because if they weren’t willing to ride with me when my car was a complete mess, than no rides now. Well my car is the center of attention when it is on the road. It doesn’t matter if I’m on the freeway, at a stop light or at the gas station people are always looking and telling me that my car is nice. I have gotten so many thumbs up while I was driving it’s not even funny. 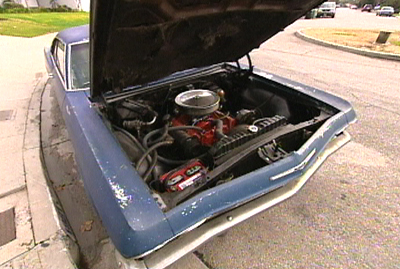 But the best to me is when people in classic cars show their interest in my TBird. I love all of the attention. People are always asking me if I want to sell my car and that isn’t going to happen. 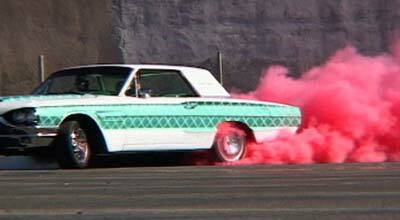 I have always had a love for classic cars and my car is flawless… one of a kind. 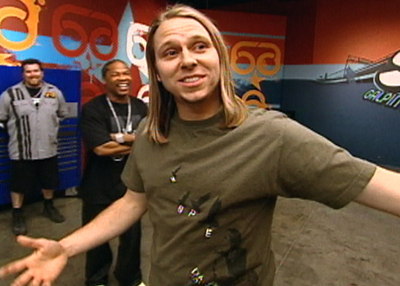 After being on the show I’ve been getting text messages and phone calls from friends that I haven’t spoke with in months and maybe some years, that saw me on MTV. Which is cool. 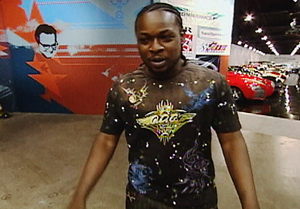 Tenita: Xzibit was hella cool. He was funny and down to earth. The whole crew was cool from GAS. Mad Mike was comedy he kept me laughing and he was very helpful. Anytime I had a question about my car he was there to help me. Kevin and Jason from GAS were my next two favorites. They were also helpful and answered any questions that I had. It was crazy. 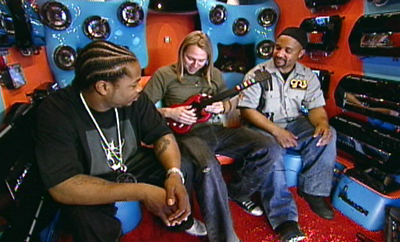 When I was going through all of the different steps and tapings, I didn’t think it was serious or for real until I opened the door and saw Xzibit standing there. It was an emotional roller coaster. I went through so many emotions that day that it wasn’t even funny. The whole crew had me thinking that I didn’t get picked, and told me that I was supposed to wait for a knock on the door. I was all sad because I really didn’t think I was chosen. And when I heard the knock on the door I didn’t want to open it and not find Xzibit there. But when I finally opened the door and saw that it was him it took my mind a while to grasp what was really going on. 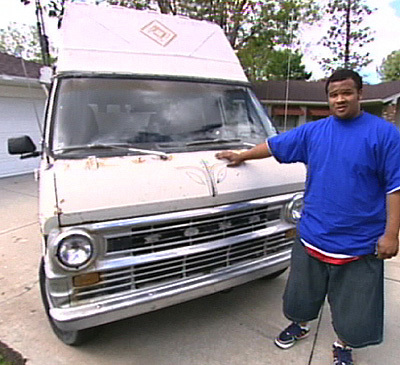 Mike's Grumman Kurbmaster Bread Truck Episode Number: 59 Season Num: 6 First Aired: Friday April 20, 2007 Prod Code: 603 Xzibit and the boys at GAS pimp out a 1978 Grumman Kurbmaster bread truck originally owned by the Wonderbread Company. The Pimp List: ‘78 Grumman Kurbmaster “Bread Truck” (Ep. 503) 2 Jack Hammer subwoofers (MTX Thunder 9900 Series) MTX Amps (Thunder Elite 1501D and Thunder Elite 404) Sony Headunit Quarter Pipe skateboard ramp 42″ Plasma TV Kenwood Toaster radio Playstation 2 / Guitar Hero 2 20″ LCD monitor 46″ monitor Capitol tires 22″ Forgetec wheels Mike on his new soundsystem Mike: So far my favorite thing about my new van is the 2, that’s right, 2 MTX Jack Hammers. Never have I seen such a thing. It is so loud! Outside of that I am in love with my Jim Bell quarter pipe, such a cool piece of the truck. I got to meet Jim while I was on set and I have to say he is such a cool laid-back guy. His ramps are so smooth and skate-able, even though I’m not all that good. But now I got something to work with. 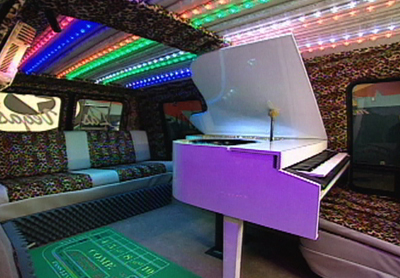 Work has changed now that we have gotten “Pimped” because all the students in our community are telling their friends, and so everyone has been really excited to see the episode and ride in the van. All my friends are excited about it, my family is excited, its cool having something that brings happiness or at the least a smile to someone’s face. I’m anxious just to drive it around again and meet new people, skate it, and just have fun with it. The whole thing has been such a great experience; the guys at GAS are genuine and real. They were great and put in so much work just to make this happen. I am so thankful for their hard work. Mike on getting picked to be pimped Mike: My name is Mike and I work with youth in Southern California as a Youth Pastor. I hang out with high school and jr. high students daily talking about life, school, pressures, relationships and whatever else comes up. A lot of the time, as a group we’ll go to the local skate park, grab some food or see a movie. This is originally why I bought my bread truck, to convert it into a mobile skate van that I could cruise anywhere and chill with students and their friends. I want to get out to where students are and encourage them to pursue their hopes and dreams and not get dragged down by the negativity that seems to be everywhere. 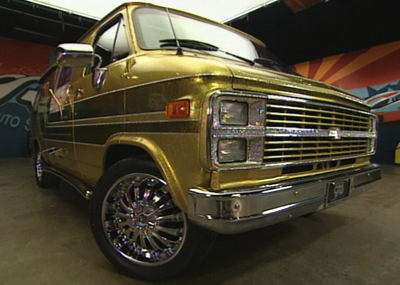 It’s been a vision and hope for such a long time, that it has been so surreal knowing that MTV has pimped my ride and made the vision happen beyond what I could have done. When I originally applied for the show I just kept praying that we would get picked so my vision could become a reality. I think God gave me a good idea, and I went with it. When I found out that we were in the running for being picked I got so excited and began to share with everyone in our church community, young and old. When it came down to waiting for X at my house, I think we had the whole church praying that we would get picked. 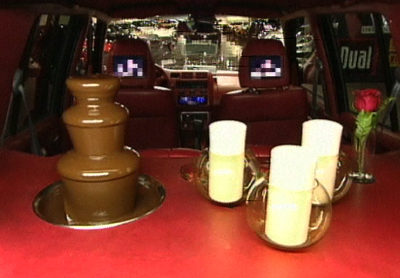 You have to admit, thinking about our church, young and old, praying that we would get “pimped” by MTV makes you laugh. That day as I sat in my living room waiting for a knock at the door wondering if I was going to get picked I was going crazy. The show’s production team was kind of down, not very confident that we won so I was a bit discouraged. When I heard the knock on my door my whole body tensed up and I was ready to be let down, I prepared for the worst. When I opened the door and saw X, I didn’t know what to think the only thing I could do was freak out. There was so much joy, relief, and excitement that I didn’t know how to process it all at once. The rest of that day was incredible; X was hilarious and was into the fact that the truck was going to be used to promote kids toward skate boarding rather than the negative influences in life. Even though X cracked on me all day about my van, knowing that in a few days I would get it back pimped out made it all worth it. Anyway he’s a funny dude just having a good time. 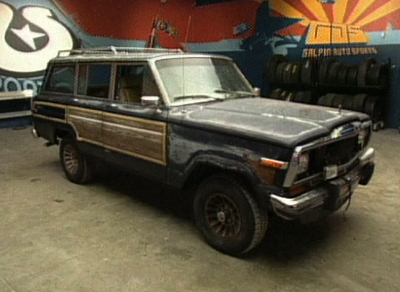 Xzibit and the boys at GAS transform a 1981 Mercedes-Benz 300SE from clunker to “crunker”. 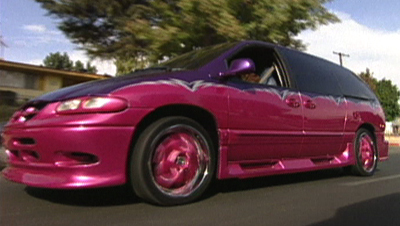 An ordinary car becomes a Spechelle edition when Xzibit and the GAS team pimp the crunk queen’s ride. The Nissan Maxima is a car manufactured by Nissan that is in a line of upper mid-size executive and sports sedans. 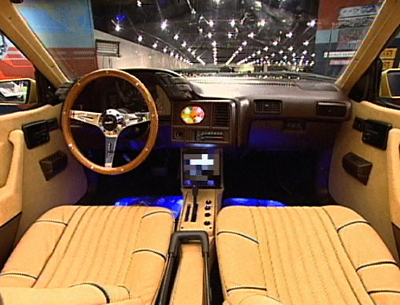 The Maxima debuted in 1976 as an upscale version of the Bluebird and was spun into its own line in 1980, having been made continuously since then. Most pre-2004 Maximas were built in Oppama, Japan, until the current North American Maximas started being assembled in Smyrna, Tennessee. Worldwide, the Maxima’s direct competitors are Japanese models such as the Honda Accord and Toyota Camry, and Korean models like the Hyundai Sonata or Hyundai Azera, while in the US it may also compete with the Chevrolet Impala and Ford Five Hundred. 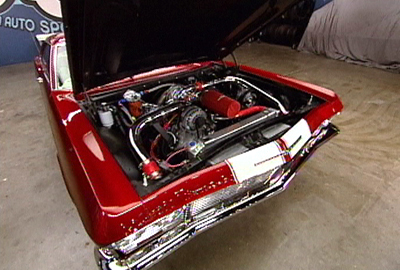 In Australia, the local Mitsubishi 380 and lower-end versions of the larger Holden Commodore and Ford Falcon are also competitors. Unlike most of the competition, which uses belts to drive the camshafts, the Maxima engine has internal chains for the twin overhead cams, eliminating the need for periodic replacement of the timing belt. 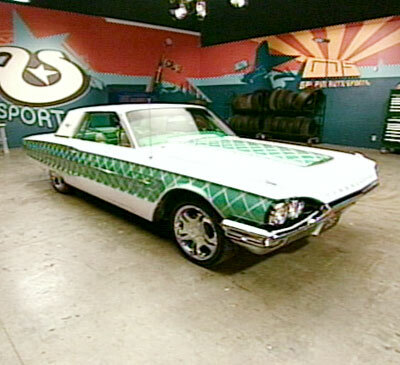 See Xzibit and the GAS team turn Esmerelda’s hand-me-down Sunbird into a tiki-god beach mobile. 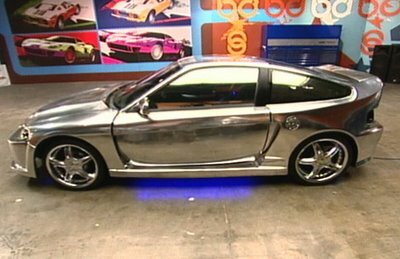 Watch Xzibit and the GAS crew transform Justin’s busted ’97 Toyota RAV4 into the ultimate love machine. My mother has a 1999?ford truck that she loves and uses to pull a horse trailer . Her one life long hobbie that she has got into since she has lost my 2 sisters . She has had a hard time keeping this truck up . She has PTSD AND RIDDING KEEPS her going. 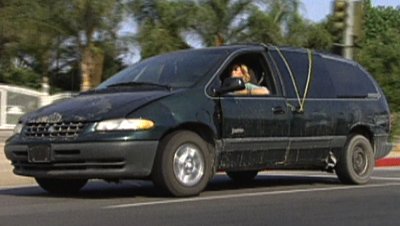 Is there anyway you could pimp her ride. 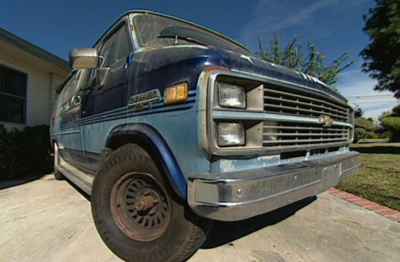 I have a 86 Grumman crewcab. 5th wheel. love your show.